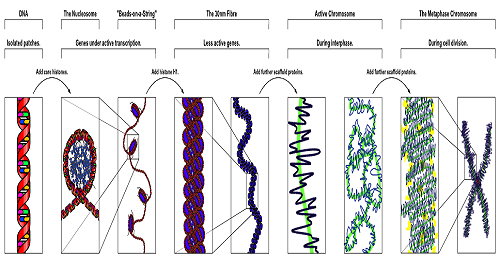 Chromatin Proteins: The DNA double helix in the cell nucleus is packaged by special proteins termed histones. The formed protein/DNA complex is called chromatin. The basic structural unit of chromatin is the nucleosome.